"We felt that by adding the sE filter to our bass mic setup, it would clear up some of the drum bleed - which it did very nicely. This is a useful product, simply and elegantly executed. Thanks sE." 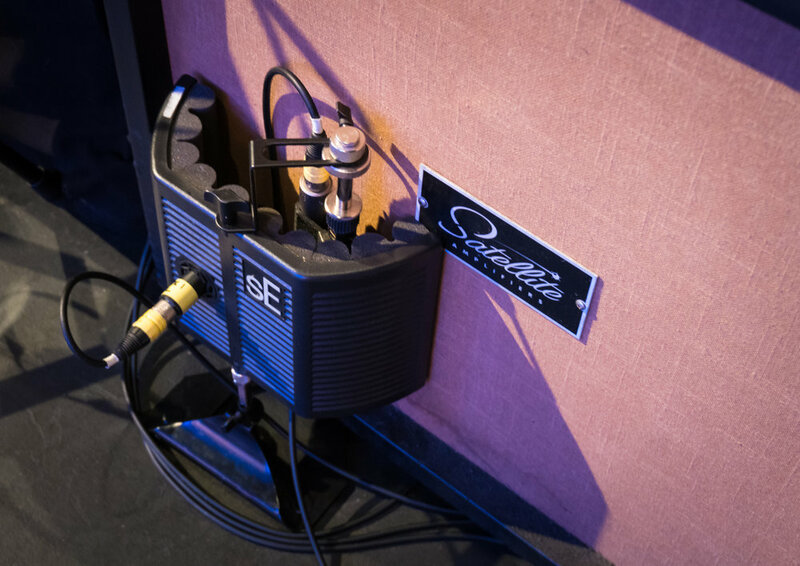 A modified sE IRF2 used by Paramore's FOH engineer Eddie Mapp to help isolate guitar mics. 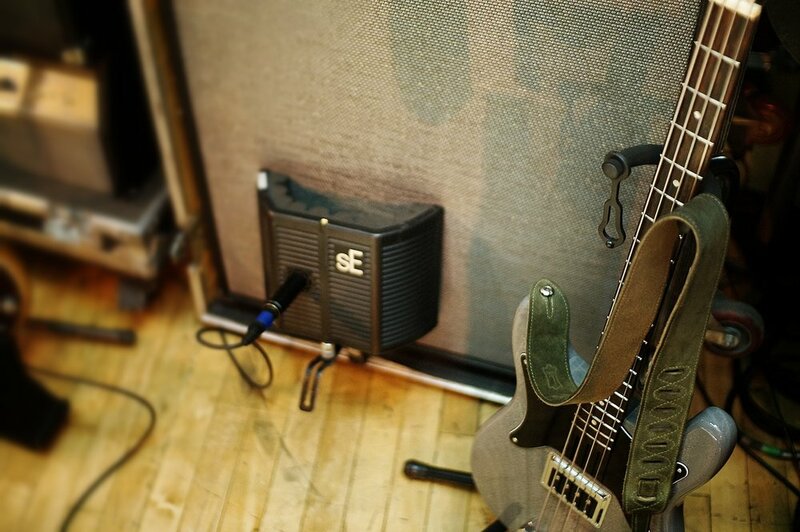 Not just for live sound. 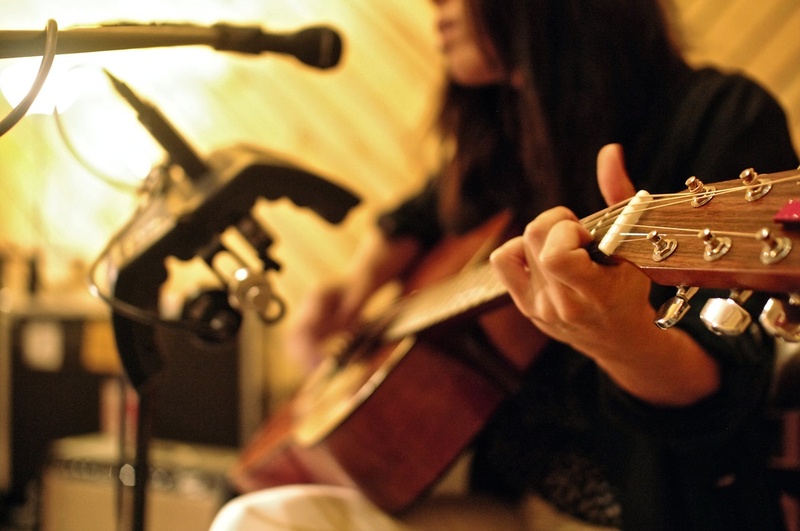 "I used the Reflexion Filter as a mini-gobo, which made the guitar sound as if it was about half an inch from your face. 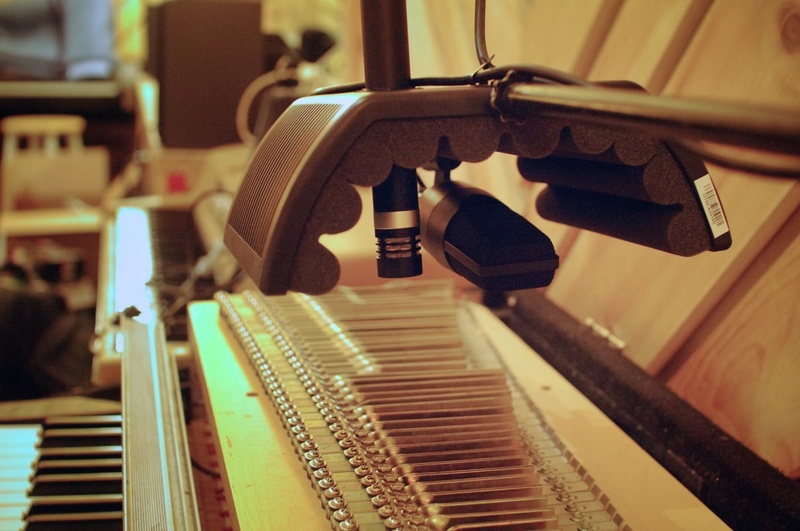 In my view this product really makes it that bit easier to get a 'pro-studio' sound at home." ...and not just for guitars either. 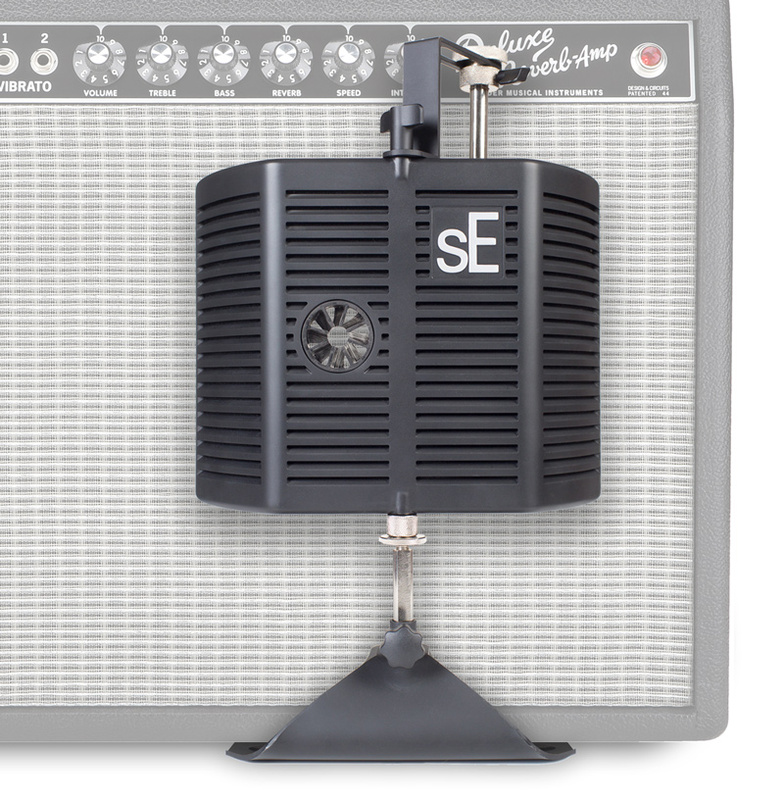 "...designed for recording guitar amps, but incredibly useful in so many other situations...I’ve used the guitaRF to mic amps using the included stand, brass instruments using a straight stand, and live-tracked vocalists using a large boom. 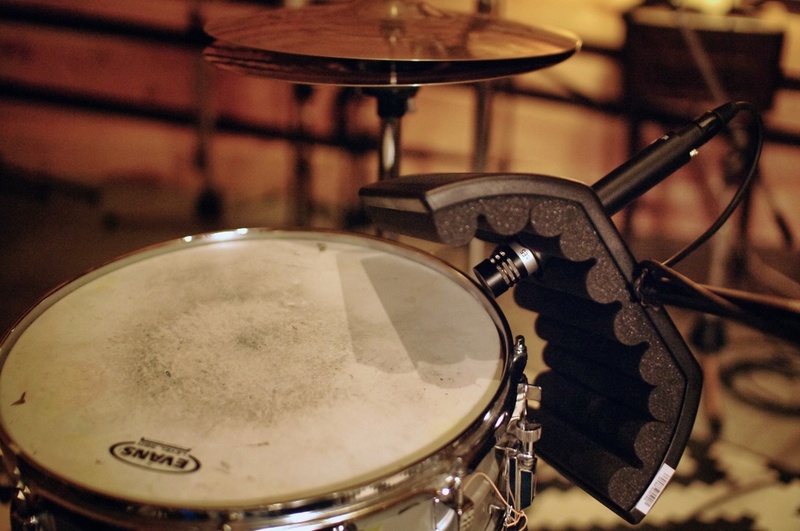 I’ve even used it sideways to reduce cymbal bleed in a kick drum mic, and vocal bleed in an acoustic guitar mic." 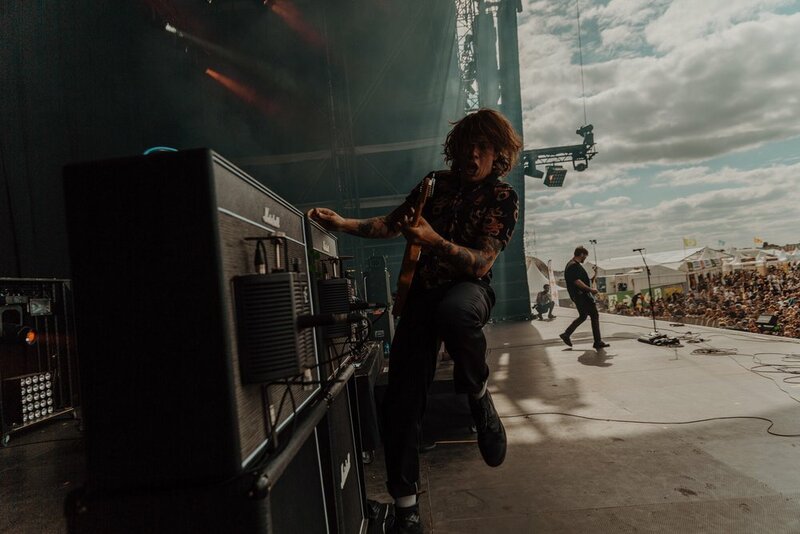 "What I like best about the guitaRF is that it’s often the perfect compromise — it reduces bleed and room ambience to a lesser degree than its bigger siblings, but it doesn’t block sight lines or take up too much space."